Roger Bissiére was an established painter in the School of Paris from the second decade of the twentieth century onward. A friend of Georges Braque (1882-1963), he became a proponent of cubism. 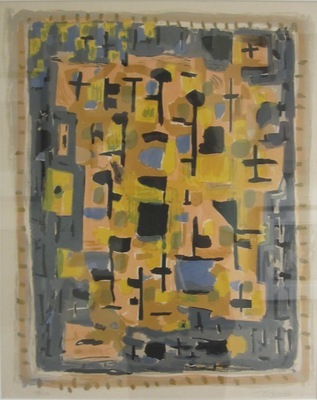 After the Second World War, Bissiére’s painting evolved into an abstract style in the orbit of Art Informel and Tachisme that fused expressive fauve-like color with a loosened cubist structure, as can be seen in his color lithograph, October.